Blockchain technology is creating a paradigm shift for transmitting and sharing data. MITRE's recently launched EthLab provides the infrastructure to experiment with new approaches and explore applications for solving government’s unique challenges. 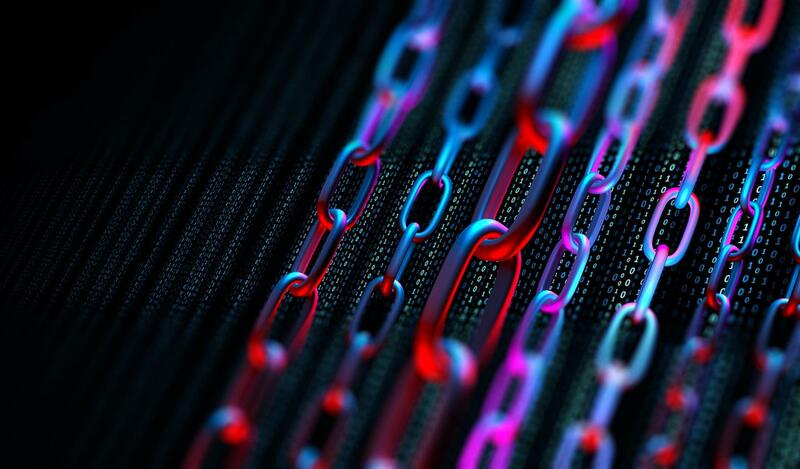 Blockchain has essentially created a new type of internet in which information can be widely distributed without relying on traditional centralized architectures. Media coverage of Bitcoin, the digital currency (or cryptocurrency) for which blockchain was originally devised, has fueled public curiosity and industry interest in this revolutionary technology. However, the same technology can be applied to such fields as defense, intelligence, and healthcare. Comparable to a bank ledger, blockchain is an incorruptible digital ledger of transactions that are bundled into blocks. Blocks of transactions are cryptographically linked (hence the term blockchain) to form the ledger. They're then duplicated thousands of times across a peer-to-peer network of computers (or nodes). Whenever a new transaction or change is made, the ledger is automatically updated and reconciled across the entire network. The consensus protocol of blockchain enables all the nodes in the network to verify and agree on the transactions in a block as well as the order of the blocks. This transparency, along with built-in game theory and economic incentives, creates an environment where it's more profitable to be accountable and play by the rules rather than attempting to undermine the system. Bryson refers to this as creating trust in a trustless environment. It's "trustless" in the sense that you don't know and haven't vetted the people with whom you're interacting. "The ability to exchange currency and data in a completely trustless environment is what makes blockchain technology so advantageous for enterprise applications where information may need to cross organizational boundaries," he says. One of the first people at MITRE to take up blockchain research, Bryson has been involved in establishing the state of the art of blockchain technology as it relates to the unique needs of the government. Working across federal, state and local governments, as well as industry and academia, MITRE has a unique vantage point for tackling the challenges specific to government and the expertise to deliver innovative solutions. As interest in blockchain continues to grow, MITRE created a lab for researchers to experiment with the technology and discover new possibilities for our government sponsors. The EthLab consists of a small network of customized Ethereum nodes and a web front end. Ethereum is public open-source blockchain technology. Unlike Bitcoin, which uses blockchain solely to track ownership of digital currency (bitcoins), Ethereum blockchain can be used to run the programming code of decentralized applications. MITRE's Ethereum network is a permissioned (non-public) blockchain. In this type of blockchain, the group selects and validates participants, so there is a stronger notion of identity than on a public blockchain. "We've provided the infrastructure for MITRE researchers to experience working with a permissioned blockchain and to develop applications around it," Bryson says. "They can also experiment with exchanging Ether (Ethereum cryptocurrency). In our lab, it's 'fake Ether,' so we don't have to spend real cash." Research being conducted in the EthLab includes evaluating the security of the Ethereum peer-to-peer network, as well as the consensus algorithms of a permissioned version of the public Ethereum blockchain. "We're focusing on the infrastructure and algorithms of a permissioned blockchain as that's the area that holds the most promise for government use," Bryson says. "We want to evaluate if it operates in the type of trustless environment it's supposed to and how it responds to malicious actors." Operating in a trustless environment is highly important as more business processes become decentralized. Repeated attacks on centralized services and the resulting data breaches are motivating industry and government to shift to decentralized processes. Blockchain technology holds the promise of creating more secure systems; however, there are challenges to overcome. The decentralized nature of blockchain will require redesigning many business processes, most of which are based on centralized control and trusted third parties. Blockchain data is not private; every node on the blockchain has access to the information. Also, there are some consensus algorithms used by permissioned blockchains that aren't intended to operate in a trustless environment. Bryson is confident that as the technology matures, MITRE researchers will gain a better understanding of the capabilities possible with blockchain and be able to address the current challenges. "I think blockchain will radically change for the better many of the business systems we have now," he says. "It also has the potential to fix some of the big problems our sponsors face." Applications for which blockchain has the potential to benefit our sponsors include healthcare (patient records, drug trials, medical supply chain, and payment processing), identity, supply chain (and logistics), Internet of Things (IoT), additive manufacturing, and secure information sharing. At present, researchers are experimenting with blockchain to communicate and share satellite sensor information and improve readings across a decentralized network of sensors. In addition, MITRE research involving information encryption and exchange on a permissioned blockchain has been transferred to our Navy sponsor.